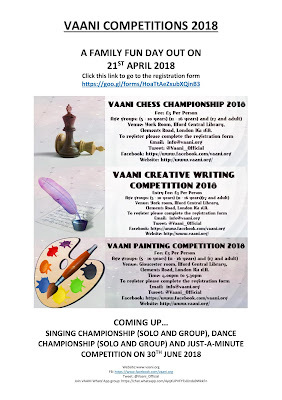 Heartiest Congratulations to all the participants!!! Here are the names of those who achieved the medals this year. Box Office closing date is 28th Oct 2018. 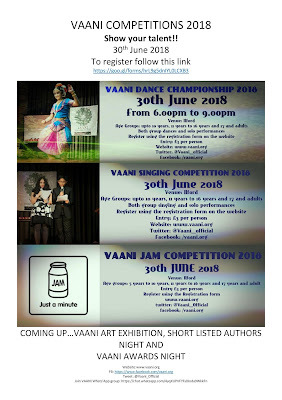 For the first time in UK VAANI brings to you its annual ASIAN WOMAN AUTHOR AND ARTIST OF THE YEAR AWARD 2018. 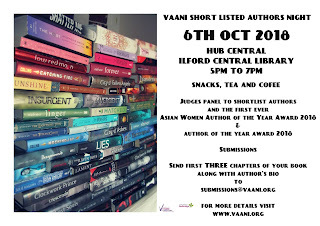 Nominations for the 2018 VAANI Asian Woman Author of the Year Awards are now OPEN. Traditionally published or self-published books are eligible, as are electronically published books on a major platform (Kindle, Nook, or iPad). For electronic books, a URL and ISBN must be provided for judges to review. Only books published within the 2017 calendar year (January 1 to December 31) are eligible. Professional artists are eligible, as are amateur artists just panning out. Previous exhibition experiences or workshops, art classes, selling their own work etc experience must be provided. Only the most recent works (period covering 2017) will be accepted by the Judges for review. The winners will receive a huge prize of £100 each to support them in their future endeavours. 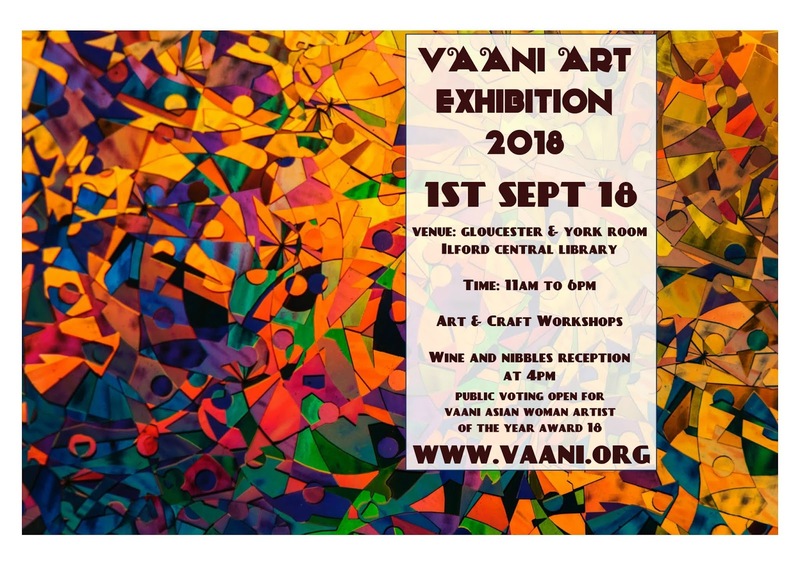 To be considered a VAANI Author or VAANI Artist and thus be eligible for nomination for VAWAAA, an author or artist must meet one of the following criteria: the author/artist must have been a resident of United Kingdom when the nominated book was written or the art work exhibited, though she may have since moved out of country; or the author/artist must be currently living in United Kingdom when the book/art is nominated. 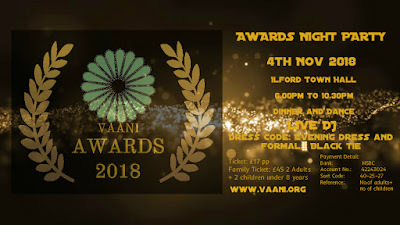 VAANI reserves the right to not award a winner in a category if it is determined that none of the nominations should win. 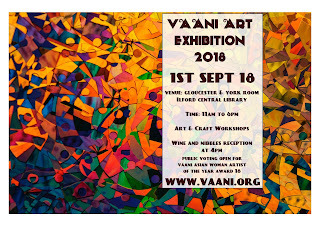 Please remember to email submissions@vaani.org after you have paid £10 for Entry. Artists email on the above email address a portfolio with authentic photos of the Art Work. 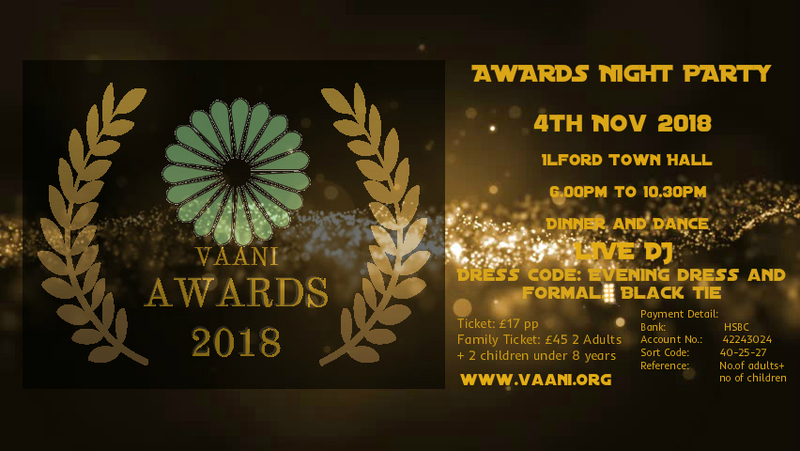 Winners will be announced on 4th Nov 2018 during VAANI AWARDS NIGHT. 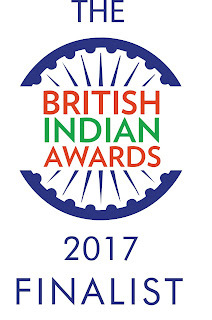 The shortlisted authors and Artists are required to attend both Shortlisted Authors and Artists Night on 6th Oct 2018 and the Awards Night. 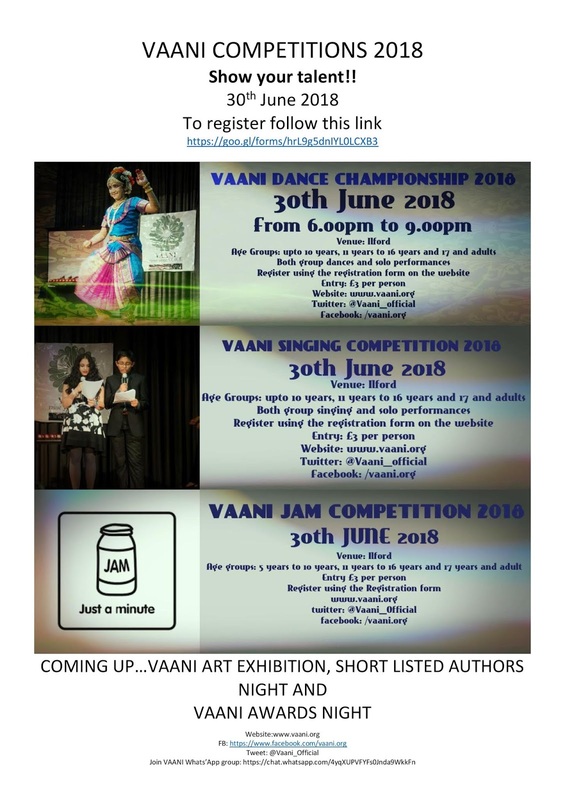 Submissions will be open from 15th June 2018 from both authors and their publishers. The closing date is 30th September 2018. The submission criteria will be posted here by the end of May. There will be a panel of prominent judges. 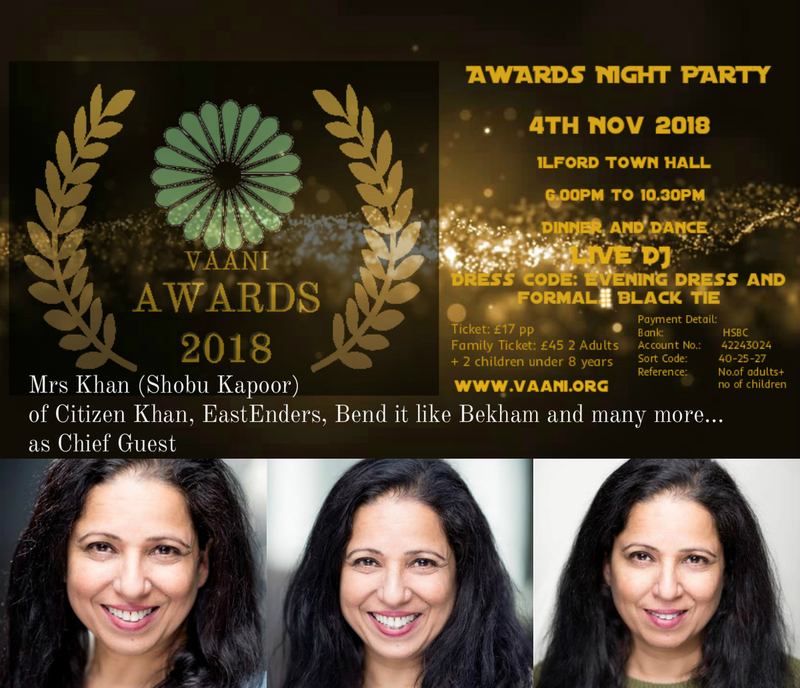 Short Listed Authors evening on 6th Oct 2018 to be held in Ilford. The awardee will be announced during prestigious VAANI AWARDS in Nov 2018. 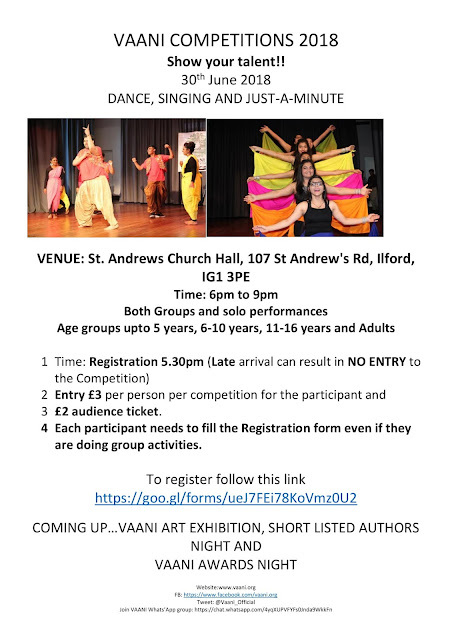 Please use the registration form to register interest.